I'm not usually a fan of books which seem like such obvious derivatives of a popular idea (the Wimpy Kid imitators come to mind), so I was hesitant to pick up The Testing. 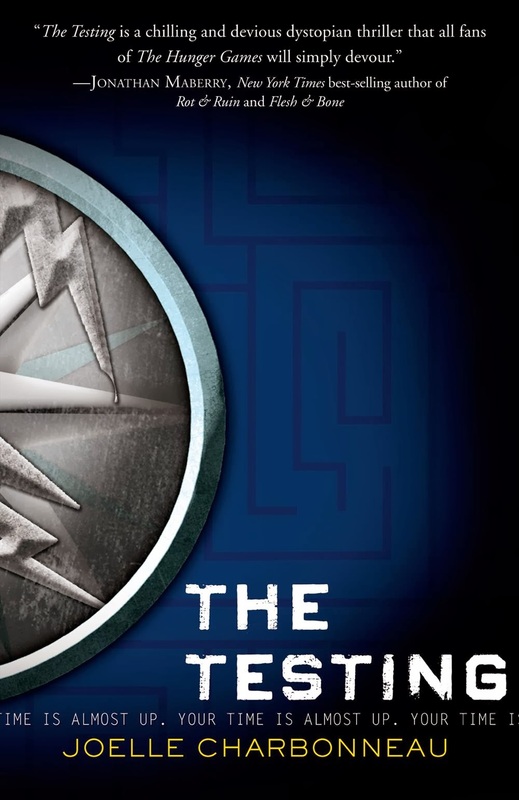 This dystopian novel has a ruthless government that pits teenagers against each other to fight to the death, a strong and independent female protagonist who falls in love with a boy she's known her whole life, trust issues among competitors who are also friends, and many other similarities to The Hunger Games. Luckily, it also features a lot of action, great writing, and suspense. That's what hooked me, kept me reading, and has me desperately trying to hunt down an ARC of the sequel, Independent Study. It's also the reason why The Testing jumped to the top of my book talk list. I like that Cia is mechanically skilled and able to get an advantage in the competition, yet never uses it to push others back. In fact, I wondered if her incredible generous and open nature was realistic in the harrowing circumstances of the testing. At some point, a self-preservation instinct should kick in. I'm willing to withhold judgment, trusting that author Joelle Charbonneau will develop Cia's darker side in the second book. 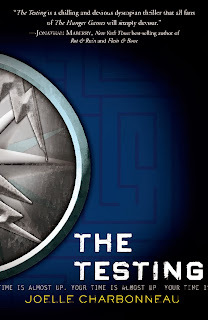 I can't wait for one of my students to read The Testing so that we can dive into a discussion on where it fits into the dystopian genre and how excited we are for the next book.